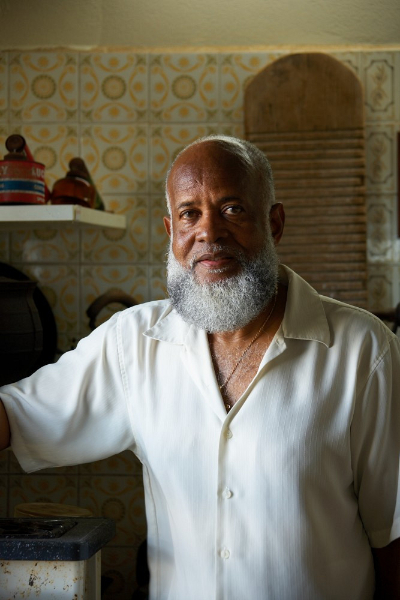 Mr. Colville Petty, OBE, curator of the Anguilla Heritage Collection Museum and a historian and author of Anguilla’s history, is himself a national treasure. 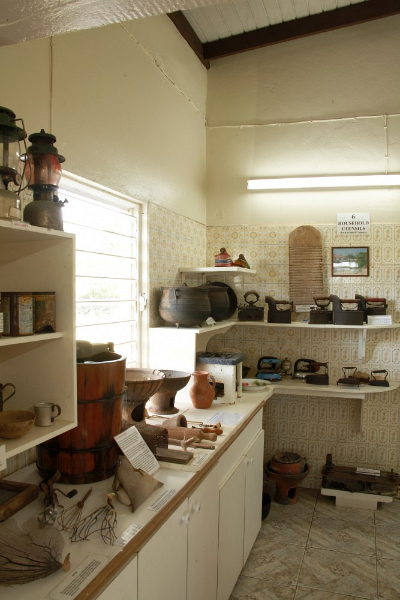 Visitors to the Museum are treated to the opportunity to walk through Anguilla’s past from the early Amerindians to present day with a narrative as only he can tell it. Beginning with Anguilla's geology, through the history of the indigenous Amerindian people, of hidden caves and sea life, to stories of plantations and slavery, and Anguilla's sugar, salt, fishing and boat building industries, he even covers Anguilla's off island cay, Sombrero Island. Mr. Petty has recovered a large number of historical artifacts from the earliest settlements through the colonial period and twentieth century life, including stone and silverware, cooking pots, and washing boards. Perhaps one of the most exciting rooms is the last installation in the museum, the room dedicated to Anguilla's revolution. As the island celebrates the 50th Anniversary of this “bloodless coup” here is a treasure trove of information and images to absorb. His knowledgeable and colorful stories bring Anguilla’s rich history to life, and visitors come away with a deep understanding and appreciation for the fascinating history and culture of the Anguillian people. The Heritage Collection Museum is open Monday-Saturday from 10 am to 5 pm. If you are Irish, or are just a devotee of good Irish fare to savor with a pint of Guinness, it will please you to know that when traveling to or through Santa Barbara, California you will find a few stellar downtown venues that are family owned and specialize in celtic inspired food and drink. Dargan's Irish Restaurant & Pub, Willie Quinn's La Arcada Bistro and The James Joyce are all destinations that are overflowing with diners and partiers on St. Patrick's Day and every day. 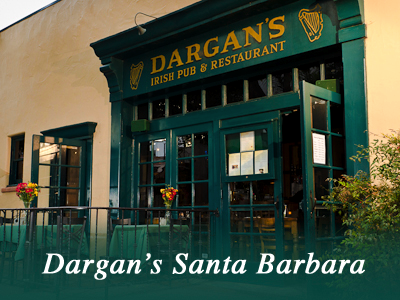 Dargan’s in Santa Barbara was Established in October 1997, but the name Dargan’has been associated with public houses in Ireland since the beginning of the 20th century when Lawrence Dargan built a Pub and grocery in 1927 to serve the small population of Cookstown, in the north of Ireland. He and his family ran a successful business, well known locally as a center of Irish traditional music and craic (Gaelic for good times). When Lawrence retired his son Benny took over the business. The tradition has spanned three generations, with Paul Dargan, who moved from Ireland when he was 21, now the proud owner of Dargan’s in Santa Barbara. Paul's motto is Céad míle fáilte romhat! A hundred thousand welcomes to you! Since it's opening at 18 East Ortega Street, Paul Dargan's authentic Irish Pub has featured Irish musicians and dancers who entertain patrons of the pub. The menu includes original recipes of Paul's mother, who was from the Belfast area in Ireland, and this food is a bit more formal than the average run of the mill pub. The Guinness onion soup with Gruyere cheese is quite amazing. 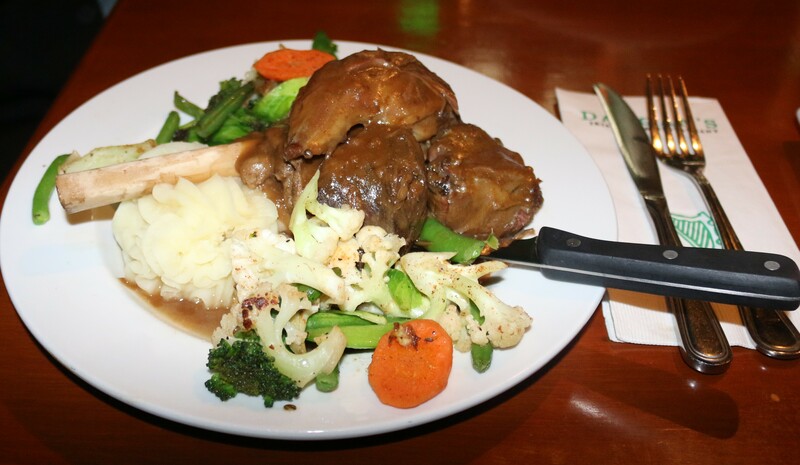 They serve a hearty lamb shank covered with home made gravy, but also offer baked beans with bangers and a variety of additional entrees, sandwiched, appetizers and salads. Dargan's showcases an impressive collection of fine Irish whiskey, and a respectable variety of Irish and domestic beer and ale including Smithwick's Ale from Kilkenny, Harp Lager from County Louth, Boddington's from Manchester, England, Stella Artois from Belgium, Guinness direct from Dublin, and Manners Irish Apple Cider from Tipperary. La Arcadia Bistro, featuring Irish Music with Irish & International Cuisine, is a local family owned restaurant. The owners Willie Quinn, originally from County Mayo Ireland, and Trini Quinn, originally from Mexico met in Santa Barbara and fell in love. 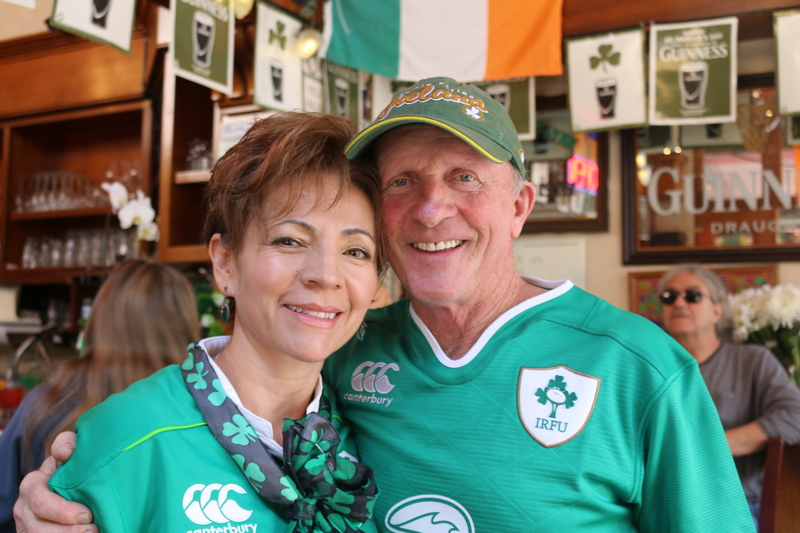 Willie Quinn and his wife Trini took over the La Arcada Bistro on State Street ten years ago and turned it into an inviting restaurant, where live Irish entertainment is enjoyed on the patio throughout the week. The industrious couple have two daughters Aoife and Brigid Quinn who perform as The Foggy Dew Band. The girls are also accomplished Irish dancers and perform non-stop on March 17. Another group who performs regularly is Shepherd's Pie Band. 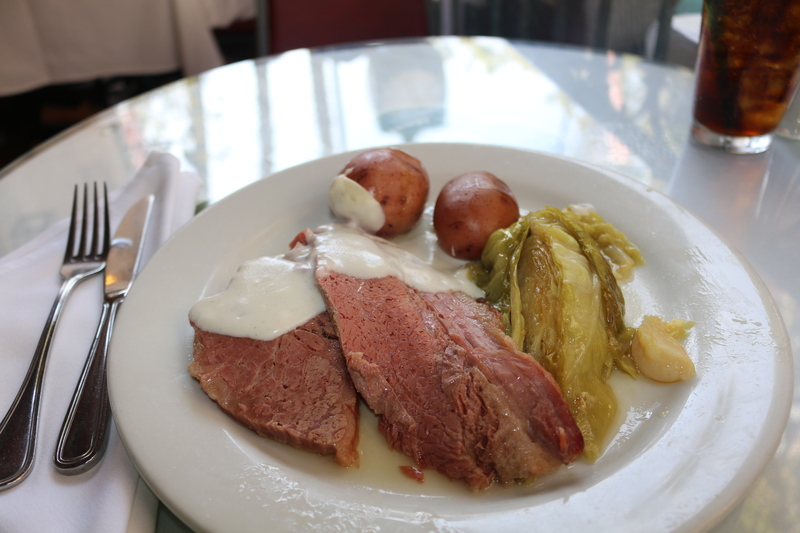 Willie's Irish authentic plates are from the south of Ireland area, and it is the exact food my grandmother and aunts cooked during their lifetime; making It a very nostalgic experience for me to dine on Willie's corned beef and cabbage or lamb stew. Trini has helped introduce dishes from around the world; including Mexican and European dishes. Pouring a perfect Guinness is an ongoing happening in this fun and fanciful meeting place. Slainte' – The James Joyce at 513 State Street is considered the best by may locals to be the best Irish bar in Santa Barbara. The James Joyce was the first Santa Barbara Irish bar, opening in 1996. This venue is so reminiscent of bars I've visited in Dublin, covered with wooden everything, and offering favorite Irish beers and ale on tap, as well as Irish whiskey and specialty cocktails. It's a place where people enjoy quiet conversations in the afternoon, and rowdy everything as the night goes on. There are very few places to sit down, and not unlike the Irish watering holes in Ireland people stand in crowds and order drinks, which are then passed back to them. Local musicians provide entertainment here six nights a week. It's great fun to watch the bartender at James Joyce pour a perfect Guinness pint or make a lovely black velvet (Guinness and cider beer cocktail known as a poor mans black velvet). I've had the pleasure to visit the Guinness Storehouse in Dublin and received a certificate for 'pouring a perfect pint' during a writing trip a few years ago, and it is an art that requires patience and a good eye. 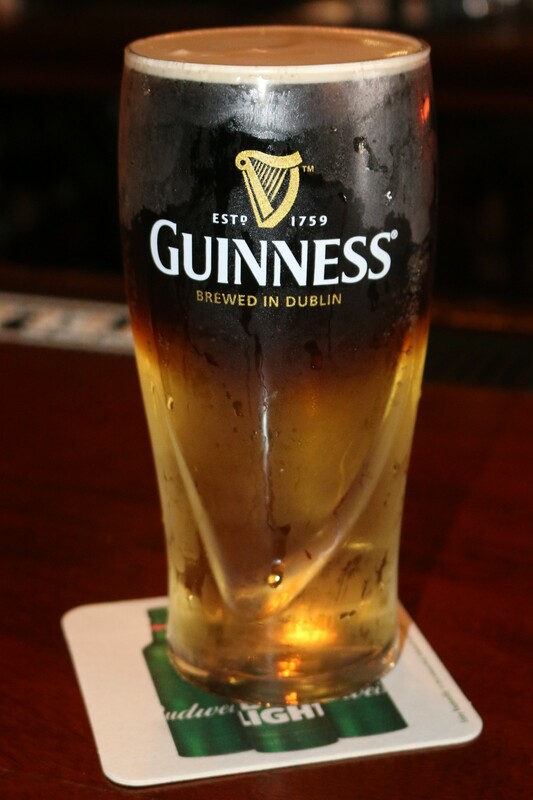 The black velvet is a softer-gentler drink combining Guinness and Cider that is a favorite on holidays in England and Ireland. The original black velvet was a cocktail made from stout and white, sparkling wine, traditionally champagne. It was crafted by the bartender of the Brook's Club in London in 1861 to mourn the death of Prince Albert, and symbolizes the black or purple cloth armbands worn by mourners.(www.sbjamesjoyce.com). The sweetest ending to your Irish whirl through Santa Barbara would be found at Chocolate du Calibressan on State Street,where you will find some of the finest chocolates on the Central Coast. Renowned chocolatier Jean Michel Carre created a special St. Patrick's Day Chocolate for locals and visitors to Santa Barbara. www.chococalibressan.com. Ideal product for beach walkers and Water people! NeoSport is staffed by surfers, kiteboarders, watermen, photographers and artists. We work every day to bring you the best wetsuits products for the money, on the market. We are not happy, until you are happy with your NeoSport product. This is what we strive for every day. Always the weekend after Mother's Day. Held Annually in Carmel-by-the-Sea Since 1993.